Otoy has revealed part of its product roadmap for OctaneRender 2018 and 2019, the next-but-one major updates to its GPU production renderer. 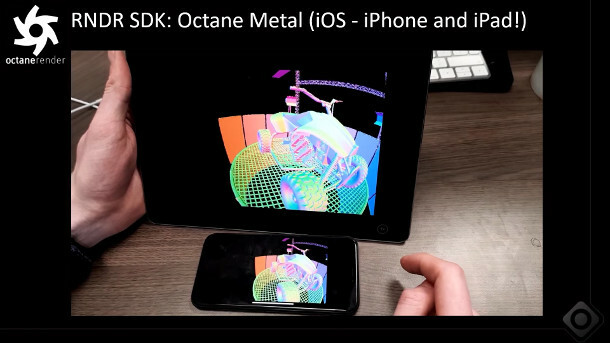 The releases, which will roll out after OctaneRender 4.0, will introduce light linking, a new AOV system, and the cross-platform RNDR SDK, which enables OctaneRender to run on integrated graphics and iOS. 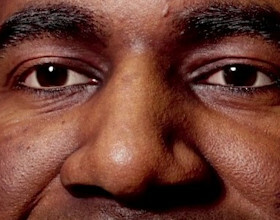 Before we get to either of the newly announced releases, quite a lot else has to happen. First, at least one 3.x release is still scheduled: OctaneRender 3.09 will introduce a rounded edge shader and random walk subsurface scattering. After that comes OctaneRender 4.0 itself, the first preview build of which was released yesterday. That integrates Otoy’s Brigade path tracing engine, promising significant boosts to the speed at which scenes load and update, plus a range of new AI-driven technologies. Of these, AI Scene determines whether geometry is handled in or out of core when rendering scenes too large to fit in graphics memory, AI Light improves light sampling, and AI Denoiser denoises renders. The release will also make the renderer free to use on up to two GPUs, including access to 12 of Otoy’s integration plugins for host DCC and CAD tools, themselves currently commercial products. Subscribers will get access to all of the plugins, be able to run OctaneRender on up to 20 GPUs, and get a second slave licence of the software for $20/month. Entprise users will get perpetual licences of the software, and be able to run it on up to 200 GPUs. After that – there are no definite release dates, but it’s presumably planned for some time this year – Otoy will switch its version numbering system, releasing OctaneRender 2018.1. New features scheduled for the update include light linking, trace sets, a new system for handling mattes and AOVs, and support for vertex attributes for better integration with other DCC software. Applications specifically namechecked for improved support include Houdini, Jawset’s TurbulenceFD gaseous fluid simulation system, and Cinema 4D’s native particle system. Internally, Otoy will switch to RNDR, a new universal framework and SDK for all of its technologies, including OctaneRender, Brigade, its ORBX file format, and light field rendering. As well as unifying development, the RNDR framework includes new backends for Direct3D, x86 CPUs, and the Vulkan and Metal APIs. That means that OctaneRender should be able to run on a much greater range of hardware, including x86 CPUs, Intel integrated graphics, desktop Macs, and Android and iOS devices. In Otoy’s early OctaneBench benchmark tests, the Vulkan and Metal backends are already as fast as CUDA, even when running on Nvidia GPUs. Intel integrated graphics score “way higher” than x86 CPU cores on the same chip, so Otoy plans to use them as a hybrid rendering fallback in situations with no available GPU. The approach is described as a “significant evolution” of Otoy’s work on cross-compiling CUDA code for non-Nvidia GPUs, originally scheduled to role out in OctaneRender 3.1. 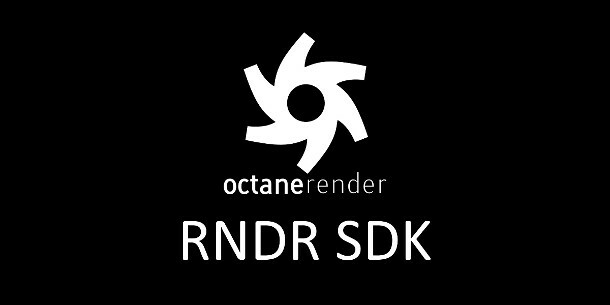 Support for the RNDR framework should roll out in stages throughout the OctaneRender 2018 and 2019 release cycles: the viewport will be first to port over, in 2018.1, with the process due to complete in 2019.1. Third-party developers will be able to write their own RNDR-based services: RNDR modules use GLSL shaders and nodes, and are published on the RNDR blockchain as ORBX packages. The RNDR blockchain will also replace Otoy’s online services, including the ORC cloud rendering platform, some time during the 2018 release cycle. Otoy hasn’t put exact dates on the upcoming releases, although the fact that the version numbers now use years gives an idea of when they’re scheduled to ship. However, it’s worth noting that the company has been over-ambitious with its timescales in the past: a number of the features on the roadmap for OctaneRender 3.x and 4.0 it released at GTC 2016, then scheduled for 2016 and 2017, still aren’t available in commercial builds of the software.